Watch & Compile your Sass with npm. This article is almost 2 years old! I build a lot of websites and simple prototypes using Node.js and Sass. Both of them are great for what I do at work and for my own side projects. Where I work at Bluemix, we’re interested in using the least amount of package managers possible to simplify how we work with the front-end of our code bases. 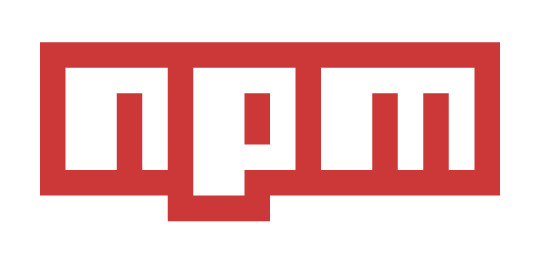 Speaking just for myself, I’ve been slowly catching on to using npm as my package manager and build tool. I’m also kind of lazy. Compile your scss files to css files. Watch for changes on your scss files and trigger a re-compile. You need Node.js installed on your computer. 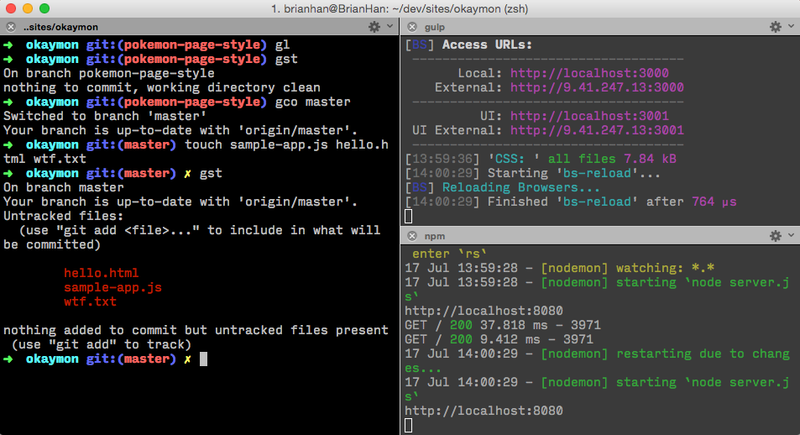 If you’re on a Mac, I recommend installing Homebrew, a package manager for mac. If you want more details on installing Node.js, check out this article from Treehouse. Open terminal and create a new folder for our project. Create a package.json file and follow the prompts. scss folder is where I like to keep all of my scss files and directories. 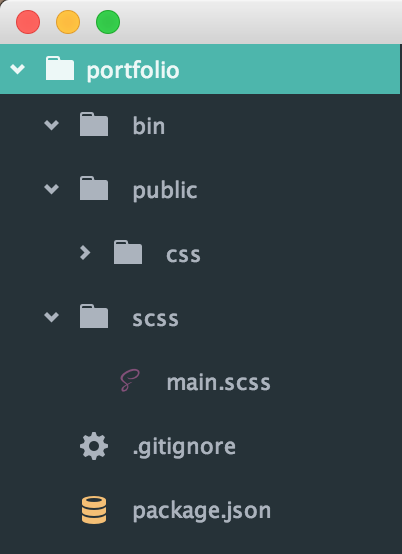 public folder is where I keep all my static assets, inside I have a css folder for my css files. bin folder is where we are going to put a command line script to compile our scss files. main.scss is where we will write out scss code. (optional) .gitignore is a hidden file we use to tell GitHub what files and folders to exclude from our repo. I like to tell GitHub to ignore my node_modules folder. If me or anyone else needs to clone my repo, I usually tell them to npm install based on the packages in package.json. When I started playing around with npm scripts, my original intention was to stop using gulp and try to write everything I needed using things like node-sass, autoprefixer, and browsersync without their respective gulp tasks. In this section, I’ll show you how I made a simple sass compiler and watcher without using gulp.js and only using npm scripts. This section will probably be the simplest example for understanding npm scripts so let’s diiiiive in. node-sass is that thing gulp-sass uses to compile your scss files to css files. node-sass wraps Libsass. nodemon is a thing we’ll use to watch for changes on our scss files. Normally, it’s used to watch for changes on your server-side Node.js code. Before we write our first script, write some dummy scss in your main.scss file so node-sass can use that to compile. Now, let’s write a command line script for compiling our scss files using node-sass. Go look at your main.css file and you’ll see that node-sass indeed compiled your scss file to css. Awesome! Now let’s try it in the terminal! So congrats! You’ve built your own sass compiler and watcher that you can start using npm scripts. If you decide you want to stick with this, let’s capture the node-sass and nodemon scripts in their own executable files. Create a build-css file and a watch-css file (no file extensions) inside the bin folder. Take that build-css (node-sass) script and put inside the build-css file. Take that watch-css (nodemon) script and put inside the watch-css file. We also need to make both of these files executable. This is a lot cleaner looking, right? 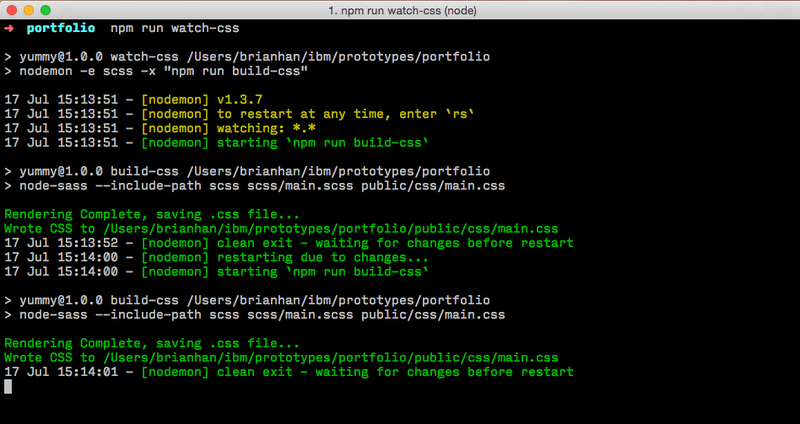 Now try running npm run watch-css again and you’ll see it should work just the way it did before. Thanks for getting this far and taking the time to follow along with this article! You can find all this code up on my GitHub. Obviously this is missing a lot of stuff that I usually like to have in my projects, like live-reload and autoprefixer. At least for now, you can see the source code for everything covered in this article by visiting my GitHub repo here. Anyway, thanks again for reading. Here are some puppies.